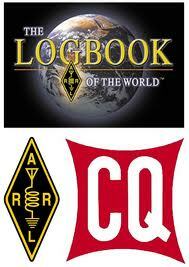 Newington, CT and Hicksville, NY – April 2, 2018 – Officials from CQ magazine and ARRL, The national association for Amateur Radio®, are excited to announce the launch of support for CQ magazine’s Worked All Zones (WAZ) award program on ARRL’s Logbook of the World (LoTW) system, effective Monday, April 2, at 10:00 a.m. EDT (14:00 UTC). Beta testing for bringing CQ magazine's WAZ award program into ARRL’s LoTW system had been underway since mid-December. Any problems in the implementation discovered by testers were corrected by the technical support team. Also, the documentation has been improved by feedback from the testers. At the same time, each LoTW user was given an additional WAZ account.